…and I asked them to put it in the right color cup. The problem was that many of the students didn’t know all of their L2 colors yet. …and some of them felt embarrassed if they didn’t know what color cup to choose. So I tried something new today. I put some classroom objects (L2 vocabulary from the previous unit) next to the colored cups. If the student looked unsure when I said the L2 color, I would quickly say the L2 word for the corresponding classroom object. My strategy worked well. I didn’t notice very many students feeling embarrassed and I actually sensed that some of them felt empowered. It also helped me introduce new vocabulary AND review old vocabulary at the same time. Say things like, “Robert, here’s your bunny. I don’t want you to put the bunny in the orange cup. I wanted Isabel to put the bunny in the orange cup. I wanted Aiden to put the bunny in the orange cup. But not you. I don’t want you to put it in the orange cup. I want you to put the bunny in the green cup. It’s a simple lesson that I came up with before I started staying in the target language. It can be modified to help learners of all ages and proficiency levels. Once all students are holding up the red crayon, have them repeat the word, “red,” after you. Then, turn your back to the class and start coloring in space #1 on the rainbow with the red crayon. When you finish coloring that section, start walking around the room saying, “Good Aiden! Good. Yes. Red. Good.” Hold up a few papers of students who are coloring in space #1 correctly. When most students are done, hold up your red crayon and say, “Goodbye red!” and put the crayon back in the box. Keep saying, “Goodbye red,” until all students have put away their red crayon. Make a coloring motion with the orange crayon and say, “Class. Color #2 orange.” (You may want to say the sentence a few times.) Turn around and start coloring space #2 with the orange crayon. Follow the same pattern (as with Novice Low or Novice Mid) except substitute the simple L2 words for L2 phrases and/or questions. After you’ve done the rainbow lesson as a whole class, pass out blank worksheets and give instructions for students to work in pairs. Tell the class that they will color the rainbows with mix-matched colors. “Space #1 WON’T be RED. It will be a different color. It will be the color that your partner tells you.” Pass out a small piece of paper to all the Partner #1s in the class and tell them to keep it hidden. The paper will tell them what mix-matched colors to use for all the rainbow spaces. Walk around the room and make sure each pair of students is speaking only in L2 and coloring according to Partner #1’s instructions. Pass out the worksheet and the crayons. Instruct students to color space #1 RED, space #2 ORANGE and space #3 YELLOW. Tell them not to color spaces 4-6. Write your instructions on the board and have them start coloring. While they are coloring, SECRETLY change your written instructions by erasing the word, “yellow” and replacing it with the L2 word for “purple.” On your page, color space #1 RED, space #2 ORANGE and space #3 PURPLE. Continue the argument for as long as you’d like. Repeat the incident with instructions for coloring spaces 4-6. I’m sort of like the bee and they’re sort of like the honey. I’m sort of like the wallet and they’re sort of like the money. It’s a little weird, I admit. “They” are the Hispanic adults that live in my community (mostly from Mexico and Puerto Rico). I wish that I could go up to everyone of them and talk to them because I LOVE getting any chance I can to speak Spanish. they are afraid that, if we speak Spanish together, it will mean that their English is not good enough. they don’t want to stand out as a foreigner in the community. they want to prove to me that they can function as an English speaker in an English speaking community. they want me to know that they don’t need my Spanish-speaking help. I don’t know exactly WHAT they think, but I get discouraged when they finish their conversation with me and then walk off speaking Spanish with their hispanic friends/family. Why do they give me a weird look when I want to speak to them in Spanish? Why do they speak Spanish naturally and comfortably with each other BUT NOT WITH ME? I was on recess duty and, since it was raining outside, I brought the 3rd graders inside to play in their classroom. Some students started playing “Connect Four” and others sat at their desk drawing pictures. Three girls (all of whom were born into Mexican families and spoke Spanish at home with their parents) decided to play “Battleship.” They’ve always been great friends and it looked like they were having a wonderful time. But there was one PROBLEM. They were speaking English to each other! They said an uncomfortable word or two in Spanish to each other while I stayed close. They quickly switched into English as soon as they knew I wasn’t watching them anymore. Why did they give me a weird look when I suggested that they speak Spanish to each other during school hours? Why do they naturally and comfortably speak Spanish at home BUT NOT HERE? Why was she pleasant while I was speaking English and UNPLEASANT WHEN I SWITCHED INTO SPANISH? From Story #2 (above): Spanish felt “at home” for those 3 Mexican girls at home (with their parents) and not at their NJ public school. 2- When a language is NOT at home, it doesn’t feel as comfortable and the speakers of the language won’t feel as natural. we were having the conversation in a public place in New Jersey (where the “at home language” is English). the language of their school experience is English. Their teachers, cafeteria aids and peers ALL speak English. The “at home” language, in that space, is English. no matter what language is spoken at home, students subconsciously feel/know/agree/believe the language spoken at school is English. To speak any other language, would feel unnatural or out-of-place. she was used to bed time in English. Her routine included English and switching into Spanish felt foreign. Although I don’t think L2 can ever be completely “at home” in a foreign language classroom, how “close to home” does L2 feel in your classroom? The more “at home” L2 feels in your classroom, the more naturally it will be spoken by your students. The less “at home” L2 feels in your classroom, the more students will need to be motivated by something external in order to engage in the L2 learning process. L2 will quickly feel less “at home” whenever students perceive L2 as something to be practiced. L2 will feel more “at home” whenever students perceive L2 as something needed in order to engage in meaningful/relevant interpersonal interactions. It’s okay if L2 doesn’t feel at home in your classroom. There are situations where it’s NOT best to teach a foreign language by staying in the target language. Here are some ways I’ve tried to MAKE THE MUNDANE MORE MEANINGFUL for my students and me. At random times I call myself the wrong name. (i.e. “Cool, huh!? Were you impressed by that? Round of applause for Sr. Howie!!! !”) Then, when the students are puzzled/shocked that I called myself the wrong name, I say (in the TL), “Sr. Howie!? No. Wait. No. My name is not Sr. Howie. My name is Sr. Howard.” Sometimes I’ll have the sentences written/posted so that I can point to them while I say them. Well into November, I pretend like I don’t quite know the names of all my students. When it comes time to call on one of them, I pause (with a confused look on my face) and say, “What is your name?” or, “What is your name, again?” and expect them to respond with a complete sentence. When I greet the students, at the beginning of class, I’ll ask them how their brother, sister, mother/father are doing. Then I will say, “What is your brother’s name, again?” and expect them to respond with a complete sentence. If they can’t respond with a complete sentence I’ll use the Two-Hand Method. The student that accumulates the most ClassDojo points in any given month receives a prize. Then we reset the points to zero and start the new month fresh. At this point I like to practice the L2 months in a meaningful way. I say something in the target language like, “we have to say goodbye to all the points because we are saying goodbye to _______ (i.e. August, December).” Then I have the students say, “Goodbye points,” and I reset the point bubbles. Then I sing a “goodbye to the month” song. Then we say goodbye to all the months that have passed in the school year so far. By the end of the year students know all of the months without ever having to complete a formal thematic unit on the months of the year. Students must write the date (including the month) as part of the heading on all of their papers. 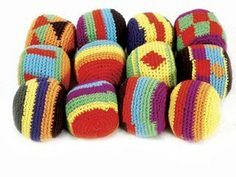 I have a set of 20 Guatemalan Kickballs (although you could use 20 of any throw-able object). I use the ClassDojo.com ‘random-student-picker’ to choose a volunteer to throw one ball at a time into a box. The class counts each time a ball is successfully thrown into the box. (Missed throw = no count) At the end, we write down the number of balls in the box. Students find their seat by matching numbers. Each desk should have a different number written out in the target language. Each student receives a number when they walk into the classroom. Students match the number to it’s written form to find out where they sit for the day. Make the task more challenging by replacing low numbers for higher ones as the year goes on. As a part of my attendance routine, I count how many students are in class. First I count from my attendance list, then I count the students in the room to make sure the numbers match. Once they match, I hold up the corresponding number (on a magnet) and show it to all of the students. What do you do to make the mundane meaningful? Please comment below.